Despite the freezing temperatures and snow showers on Saturday 23rd March, members of Feminist Fightback, North London Solfed, Boycott Workfare and other local groups, residents and anti-workfare protesters picketed Argos in Leytonstone and Poundland in Wembley. In Leytonstone, for a large demonstration the reception from the public was generally very positive, with residents driving past slowing down and opening windows asking for leaflets. Plenty of people stopped to chat despite the cold. 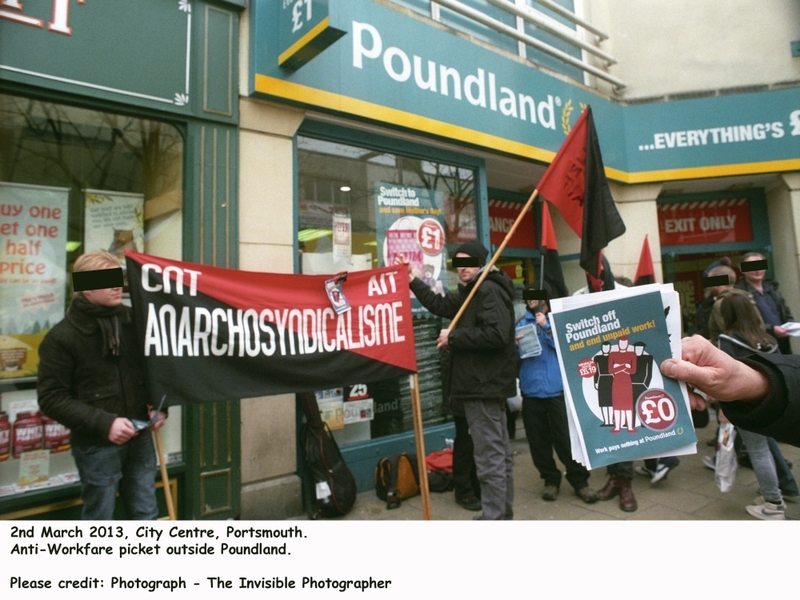 We picketed Argos as part of the Boycott Workfare week of action and we were originally going to picket Superdrug as well who pulled out a day before the demo; no doubt in part due to pressure from anti-workfare groups and campaigns across the country.